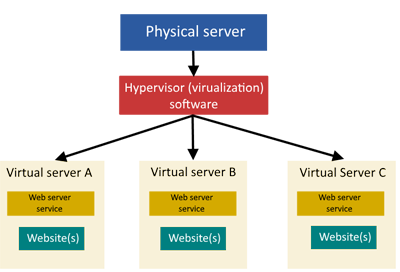 What is a Virtual Private Server? Well if Shared Hosting is like an apartment complex a VPS would be more like a condominium. With a VPS you actually own the 'Virtual Server' space and have much more flexibility on what happens within your space. Specialized software with custom configurations are all easily possible to accomplish on a VPS. There are many aspects of obtaining a VPS you'll want to be sure of before taking the step to move up to your own VPS. Unless you're able to manage all the operating software efficiently and securely you are going to want to be certain to obtain a fully managed VPS. Our VPS outperforms Amazon and Rackspace, contact us to get started on yours!